Why do young men begin a life of thievery or violence in order to support their habits? Why do some women serial date men that will never commit to marriage? Why do young students go out and borrow $100,000 for a Bachelors degree? This, and other issues, I believe can be radically changed by changing the level of mentorship in our society. Sometimes, this mentorship will be called parenting, but many times it won’t come directly from the parents. I remember reading something that said from the early teens onward, children aren’t keen to take mentorship from their own parents, they want to hear things from a trusted friend or family member, like an aunt or uncle or grandparent. The concept of mentorship has been around since Biblical times. But as for you, teach what accords with sound doctrine. Older men are to be sober-minded, dignified, self-controlled, sound in faith, in love, and in steadfastness. Older women likewise are to be reverent in behavior, not slanderers or slaves to much wine. They are to teach what is good, and so train the young women to love their husbands and children, to be self-controlled, pure, working at home, kind, and submissive to their own husbands,that the word of God may not be reviled. Likewise, urge the younger men to be self-controlled. Show yourself in all respects to be a model of good works, and in your teaching show integrity, dignity, and sound speech that cannot be condemned, so that an opponent may be put to shame, having nothing evil to say about us. Oh, how I’ve failed at this, too! I’m not sure how much I’m teaching younger women to love their children or husbands when I’ve had a bad day and I’m crabby about my circumstances. My grandma mentored me for much of my young life, and that didn’t mean she was perfect. She had bad days, too! But she committed the time just to sit with me, let me talk, and then engage me with her thoughts. Many parents would rather see their children be happy than teach them to make wise choices. I have a friend who went to college two years after high school because his parents took the time to teach him that college debt wasn’t necessary. He worked full-time those two years to help pay for his education. In the grand scheme of life, him getting his bachelors degree at 24 instead of 22 did not ruin his career, but it did save him from a lot of interest payments! Russell Moore wrote a piece on mentors and a few of his suggestions were very practical. Be specific when you ask for mentoring. Rely on different mentors for different aspects of your life. You may know someone that has fruit on the tree when it comes to their finances or business- seek them out for advice on those matter. Maybe you know a couple that has a marriage that you want to emulate- ask them how they do it. There is nothing wrong about seeking out a mentor. I’d rather look dumb by asking about a subject with which I need help than just go about something blindly. After all, when I want to know more about something, I’ll pick up a book and take advice from someone I know nothing about- how much better to take counsel from someone from whom I have directly witnessed their character. 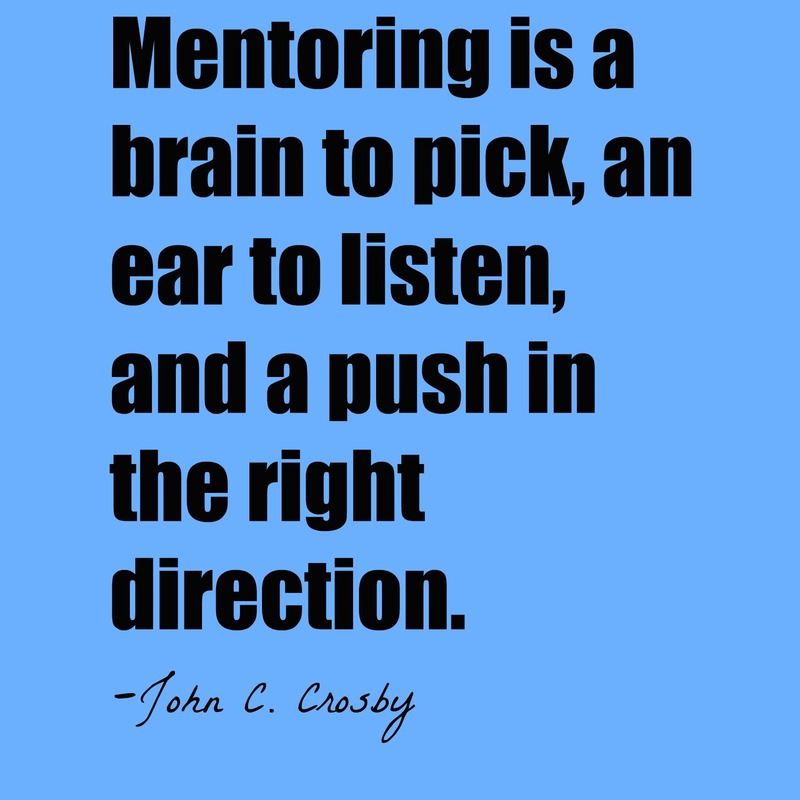 Do you have a mentor in your life? Maybe someone mentored you as a young person and you believe it changed the trajectory of your life? I’d love to hear!